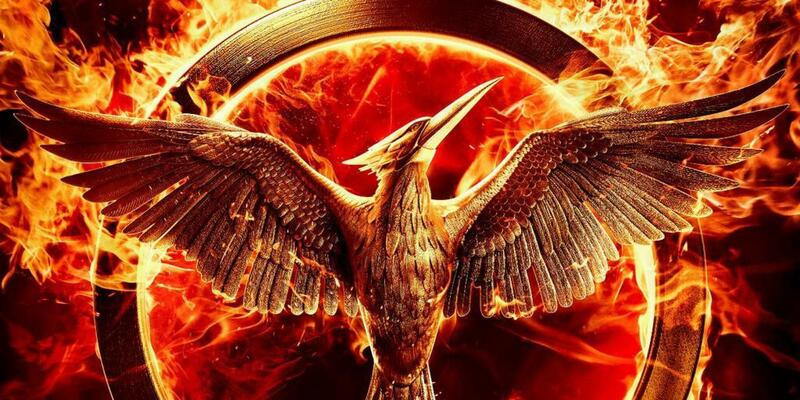 At the moment, the third installment of the Hunger Games series continues to dominate box office sales. Mockingjay (Part 1) continues the story of Katniss Everdeen as she struggles against the tyrannical Capitol. I have written about the first installment before, providing the (tongue-in-cheek) “definitive Christian review.” The latest installment provides even more food for thought. In fact, Mockingjay provides a powerful illustration of a particular aspect of Reformed political theory. …I am so far from forbidding them to withstand, in accordance with their duty, the fierce licentiousness of kings, that, if they wink at kings who violently fall upon and assault the lowly common folk, I declare that their dissimulation involves nefarious perfidy, because they dishonestly betray the freedom of the people, of which they know that they have been appointed protectors by God’s ordinance. In other words, lower magistrates are actually obliged to resist tyranny and overthrow it if necessary. A classic illustration of this is found in the Dutch Revolt. During the mid-sixteenth century, the Spanish were in control of what we today call the Netherlands and Belgium. The Spanish were tyrannical to a fault. They were brutally oppressive, especially towards Reformed believers. However, Reformed folk did not take it passively. There was a strong resistance movement and it was led by lower magistrates from across the Low Countries. Men like William of Orange resisted the Spanish and made war against them. Eventually, these efforts were successful and freedom was secured, at least in the northern part of the Low Countries. Were the Dutch wrong to rebel against the Spanish? No, it was not a rebellion in the sense of overthrowing authority. Instead, it was lawfully constituted authorities leading a lawful revolt against godless tyranny. We see the same thing happening in Mockingjay (Part 1). President Snow and the Capitol are clearly tyrannical. They oppress the districts and exact tribute from them (human tributes who serve for the entertainment of the Capitol). But there is a revolt underway and it takes place under the auspices of District 13. District 13 was thought by many to have been obliterated. It turns out that the district still exists and has a strong internal government led by President Coin. President Coin is leading the revolt against the Capitol. Consequently, from a Reformed perspective, the revolt portrayed in Mockingjay is a lawful endeavour. In fact, President Coin is doing what she is obliged to do. It would be wrong for her not to revolt against the Capitol. I doubt Mockingjay intends to illustrate “Calvinist resistance theory,” but it does so nonetheless, at least to a certain degree. To illustrate it fully, the characters involved would have to commit their cause to God and seek to carry it out for his glory. Regrettably, the world of Katniss Everdeen, even in District 13, is a godless and unbelieving society. All there is in the world portrayed is the horizontal plane. Therefore, the illustration only works to a point. Tyranny is always a threat. We would be naive if we thought that we or our descendants will never be faced with it again. If we should come to live under the jackboot of some oppressive, tyrannical power, how should we respond? Because of our history, Reformed believers have given extensive thought to this question and we have an answer readily at hand. We should never passively accept tyranny, but at the same time we must never reject authority. This is why it is crucially important for Christians to be involved in politics. We need believing people in positions of authority, not only for the influence they bear now, but also for the leadership they can provide if and when tyranny must be resisted and overthrown. Last week I had the opportunity to teach presuppositional apologetics to a group of 25 university and college students in British Columbia. They were a great bunch of highly motivated, intelligent, committed young Christians. Obviously, I had a great time and I think they did too. I would teach a morning and an afternoon session and then in the evenings they would do something a bit different. Mark and Jaclynn Penninga came by on Tuesday evening to speak about sexuality and college life. Jon Dykstra came by on the Wednesday and Thursday evenings to show a couple of films and lead a discussion. 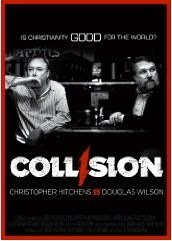 The Thursday evening film was Collision. I’ve heard lots about it, but I’d never actually watched it. And because of a family event elsewhere, I didn’t on Thursday night either. But after I came back to the retreat, Jon and I got to talking. We made a trade. I gave him Marilynne Robinson’s Home and he gave me Collision. I watched it last night. Before I go on, I want to make a disclaimer. Greg Bahnsen was arguably the best second-generation Reformed apologist. He was probably more gifted than Van Til in terms of putting theory into words and definitely when it comes to putting theory into practice. I’ve learned a lot from Greg Bahnsen and for a time I was even enrolled in the Master of Arts in Apologetics program at the Southern California Center for Christian Studies (where he taught). But Bahnsen was a theonomist and I’m not. Similarly, Douglas Wilson is a gifted apologist. He understands and implements Reformed apologetics. Yet he is a signatory to the Joint Federal Vision Statement. Anything positive I might have to say about Wilson here should be not construed as support for all of his thoughts or endeavours outside of the area of apologetics. Who won the debate(s)? It depends on the grid through which you view it. In terms of debating ability, Hitchens and Wilson were evenly matched. Both were well-prepared. Both are quick on their feet. Christians would undoubtedly chalk one (or more) up for Wilson, while atheists and skeptics would probably claim an obvious victory for Hitchens. Generally speaking, the film reinforced what I had been teaching last week. Sometimes when I teach this material I use the Bahnsen/Stein debate to illustrate — though we usually don’t listen to the whole thing. I’m still not sure if Collision will replace it. At a certain point, Wilson speaks about Matthew 24 and he sketches at least a partial preterist interpretation. He asserts that Jesus Christ returned in 70 A.D. with the destruction of Jerusalem. I first encountered that argument in David Chilton’s Paradise Restored. I wasn’t convinced then, and I’m still not. He speaks about the parable of the prodigal son and tells Hitchens that it’s really about Israel wandering in exile. Such an interpretation doesn’t do justice to the context where Jesus offended the Pharisees by eating with tax collectors and sinners. I don’t recall any such misinterpretations of Scripture in the Bahnsen/Stein debate. Sensitive viewers should note that the soundtrack is a mixture of metal, rap, and a bit of classical. Also, there is some coarse language. As a final (less serious) note, as a lifetime member of the Red Green fan club, I couldn’t but help notice the resemblance with Doug Wilson. But I’m sure someone else has already beaten me to that observation.